DM Auto Leasing - Thank you for all of your help, Frank! Frank was very helpful throughout the length of this process. I got a good deal on my trade-in and he saved me some money on the new vehicle. I got a great vehicle for a great price and Frank was there every step of the way to put in the work behind the scenes. Frank's honest, no-nonsense approach made making a decision an easy thing to do. He gives you all of the information he has and will work with you to get you in your dream car at your dream price. Next time I am in need of a vehicle, I will go running back to Frank. 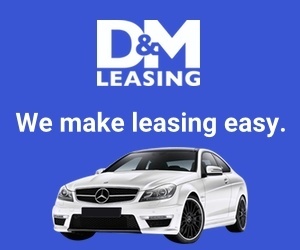 Product or Service Mentioned: Dm Auto Leasing Sales Representative. Review #1036726 is a subjective opinion of testimonial.